Super lightweight 15" Pro-Grip aluminum steering wheels feature three spokes and have both 1/4" and 5/16" bolt mounting holes. Pro-Grip wheels have BIG 1-1/4" diameter rims with an outside diameter of 14-1/2". The welded finger nubs on the back are spaced 1" apart for a secure grip. Flat style (no dish). 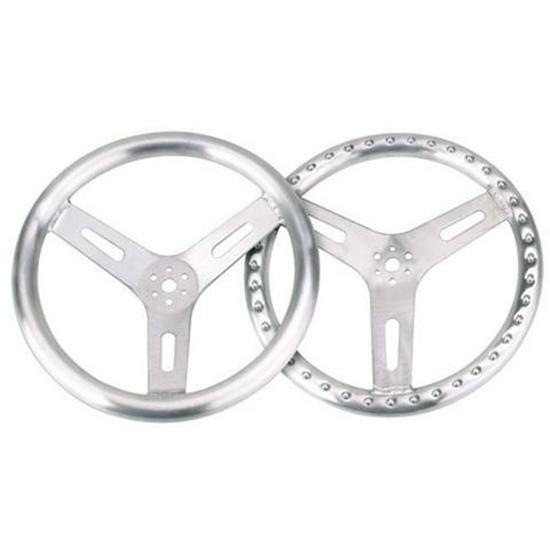 Standard Aluminum Steering Wheel, 13 "